“Language barrier: a gap in the spoken word that ultimately hinders smooth instantaneous communication, leaving room for misinterpretation.” Of course, having a human translator at all times for this purpose is nearly impossible. Imagine this situation: it’s midnight, you’re a visitor in Tokyo out for a meal but lose your way back to the hotel. How would you normally go about asking for directions and following them? Mind you, standard Japanese is the most widely spoken here (although sometimes you can get away with broken English too). Panic and rummage through your dictionary or search using your phone with unpredictable internet speeds? In an attempt to address this challenge, Logbar Inc., at CES 2016, launched the only real-time translator in the world that can be worn on the body or kept in pockets. This translator uses voice and not text to translate, does not require an internet connection and in the process saves on battery power and updates via a drive through a docking station. Exit Google Translate, enter iLi! 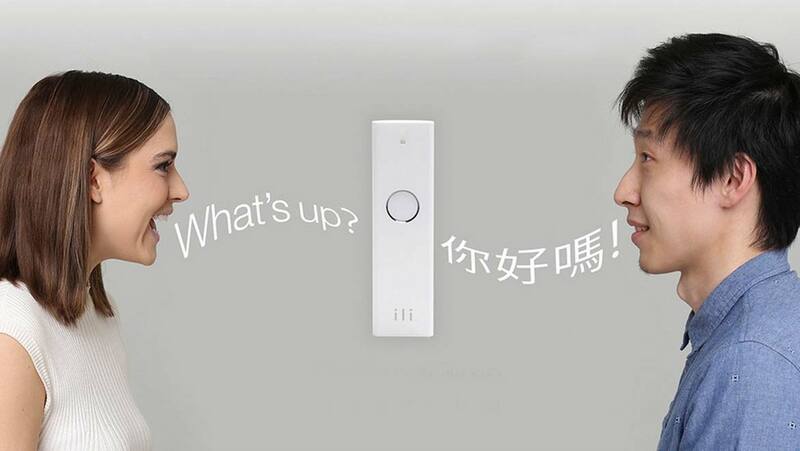 This small handheld device, currently pre-installed with three languages (English, Japanese and Chinese), works by a simple mechanism of push-to-activate, with auto-responses and a largely accurate translation of the same. iLi’s vocabulary is pretty fantastic too as it contains more than 50,000 words and phrases of daily use. The creators are constantly improving its content and command over the dialects in an effort that especially benefits travelers. The company has priced this gadget moderately at $200 and it retains battery for a period of 24 hours. French, Thai, Korean, Spanish, Italian and Arabic are currently in the process of being added into iLi’s database. Logbar claims the reason for its current unavailability as “aiming for precise translations and comprehension in existing languages”. Trust user-friendly and futuristic wearable translator, iLi, to build bridges and not walls among us!